There is a new version of the autoxtrabackup tool. In this post, I’ll provide some of the highlights available this time around. autoxtrabackup is a tool created by PerconLabs. We’ve now put out the 1.5.0 version, and you can test it further. In this blog post, we’ll look at how the command line tool autotokubackup can make TokuDB hot backups easier. I would like to share an experimental tool named autotokubackup, for TokuBackup. This tool is aimed at helping simplify the life of TokuDB system administrators. autotokubackup is written in the Python language. This blog discusses column compression with an optional predefined dictionary. Compression, more compression with different algorithms, compress again, compress multiple times! 🙂 Compression is a hot topic in our lives. Welcome to the final – but most important – episode in the MySQL QA Series. 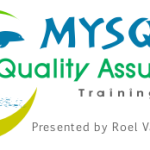 In it, I present my vision for all MySQL Quality Assurance – for all distributions – worldwide. My server is crashing… Now what? 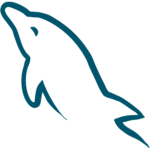 This special episode in the MySQL QA Series is for customers or users experiencing a crash. Sever install & crash. Note this is as a demonstration: do not action this on a production server!